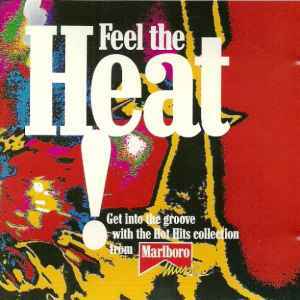 Various ‎– Feel The Heat! Published By – Next Plateau Music Inc.
1: Ed. : Next Plateau Music Inc. / All Boys Music Ltd. ℗ 1991 Next Plateau Records Inc., N.Y.
3: Ed. : Talma Music ℗ Yin Yang (France). Avec l'aimable autorisation de Polydor. 4. ℗ 1991 P. Simpson. Avec l'aimable autorisation de Polydor. 6: Ed. : Skratch Music Pub. ℗ 1984 Polydor Ltd.
7: Ed. : Rondor Music ℗ 1984 London Records Ltd.
9: Ed. : Warner Chappell Music Ltd. ℗ 1991 FFRR Records Ltd.
10: Ed. : Infernal Entertainment ℗ 1989 J.P. Crosz, Paris. Avec l'aimable autorisation de Polydor.